GOTH-3Designs se centra principalmente en el diseño de chasis y la construcción de prototipos para pruebas, por lo que casi no queda tiempo para construir sables completos para comisiones. Hemos puesto aquí una lista de constructores certificados que pueden hacer eso. Bio: I have been obsessed with Star Wars since I was a child. I was born post ROTJ and my early childhood suffered from the drought of merchandise between 88-93. I had hand me down figures and ships, ones I bought at antique stores, ones I found in my cousins yard. All of these figures missed one thing though…. their Lightsabers! Since then and until now I have obsessed over this tool of the Jedi/Sith and I have searched and found the best ways to make them come to life. I have thoroughly enjoyed building them for myself and mostly others. The look on peoples faces when they wield a well built Lightsaber for the first time is what drives me to build more and more. The drive to make and produce exactly what I want is strong….strong as Anakin in the Force, but the drive to build EXACTLY what someone else wants for them, is Stronger. 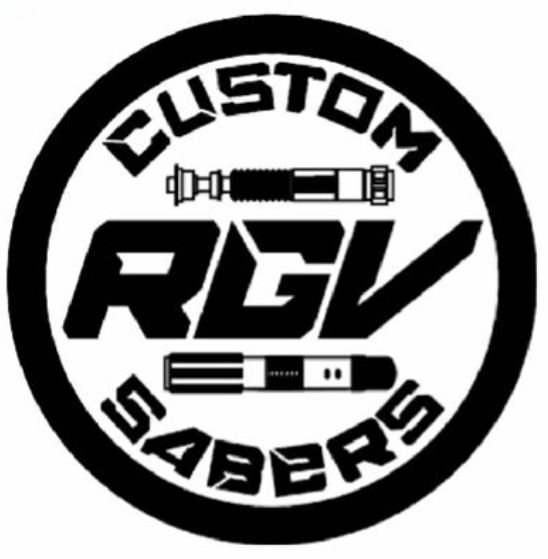 Bio: RGV Custom Sabers was established in early 2016 and was open for business later in the same year by owner J.B Garza. Based out of Deep South Texas, J.B. specializes in Plecter, and Neopixel hilt installations. Christian joined RGV Custom sabers in the beginning of 2017 and is based in Minnesota. He specializes in weathering, unique StarKiller builds and Plecter installs. We always use high quality 3D-Printed material and have plenty of experience with GOTH-3Designs Chassis. Specialized in: Plecter Boards installations, Korbanth Graflex, and KR builds. Bio: New to the hobby, I look to provide a quality service with impeccable customer service. I am to answer all questions a client may have in a clear and understandable manner. I specialize in installing Plecter boards including the Prizm 5.1, Nano Biscotte v4, and Crystal Focus v8 with Color Extender when able to be fit in the given chassis. Experienced in AutoCAD inventor and 3D printing, should a custom piece need to be made and printed quickly. Bio: I grew up with Star Wars, and have wanted a lightsaber of my own since I was 3 years old, and first saw Luke Skywalker holding that green blade on the sail barge in the Dune Sea. When LucasArts released Jedi Knight: Dark Forces II in 1997, I was so taken by that game that I began making static prop sabers from anything I could find at the local hardware store. Years later I became a member of some of the large lightsaber forums and began building illuminated sabers. I am currently the only Certified Installer for Naigons Electronic Creations in Canada, and the administrator for the Lightsaber Society of Canada on FB. Bio: While Imperial Custom Sabers has only been officially around for a few months…the man behind the scene has been building lightsabers for 5 years now…..Imperial Custom Sabers has a lot of services available, check them out on the Facebook page.